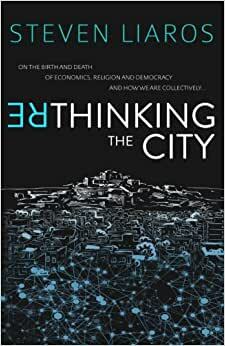 WITH THE INTRODUCTION OF COINS in about 600 BCE, a paradigm shift occurred in human thinking and pre-existing worldviews were transformed into the ideas that shape our cities and societies today. Coins not only changed the economy but also the nature of government, democracy, religion and philosophy. The following century saw the invention, or reinvention, of representative democracy, Greek philosophy, the social contract, Judaism, Hinduism, Buddhism and Confucianism.Rethinking the City describes how cities and civilisations are created not by conquering armies, bureaucratic diligence or market forces but by ideas-and ideas can change quickly and dramatically. THE ADVENT OF THE INTERNET in our own time is causing a similarly dramatic paradigm shift, enabling us to rethink what we mean by 'City'. 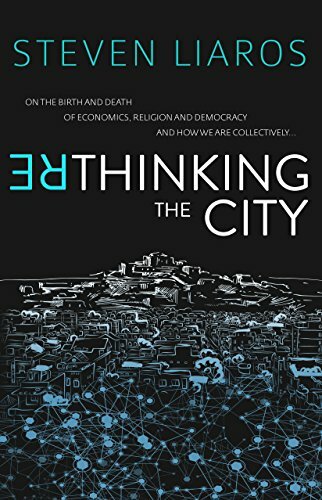 Rethinking the City describes how the City can be, and is already being, reinvented; founded on the ideas of freedom, collaboration, equality, authenticity, trust and resonance with the natural environment.Rethinking the City turns conventional thinking on its head and plots a path to an environmentally and socially sustainable future. Start reading Rethinking the City on your Kindle in under a minute. Steven Liaros is a consulting town planner, who also holds a degree in Civil Engineering and a Masters in Environmental Law. He continues a life-long passion for exploring ideas that contribute to his understanding of how the world works and towards his search for the Truth. This has led to an exploration of collaborative ideas for sustainable cities. To complement his inner journey, Steven has also visited, and volunteered at, numerous diverse communities in Europe, India, Sri Lanka and Australia.